The FIWARE Foundation (“FF”) is an initiative whose mission is to research in the field of information and communications technology (ICT) and to develop an open sustainable ecosystem around public, royalty-free and implementation-driven software platform standards that will ease the development of new Smart Applications in multiple sectors (the “FIWARE Mission”). This ecosystem will be open to the general public. Results of the advancement in science and research are materialized in an open source platform (the FIWARE Platform) which anyone in the world can use for free. The FIWARE Community comprises all people (individuals/organisations) who are involved in FIWARE, including users, developers, accelerators, technology communities, domain specific communities, start-ups & SMEs, cities, representatives of the FF and their employees. The cornerstones and founding principles of the FF are independence in decision making, openness, transparency and meritocracy. The FF is a legal independent body whose main purpose is to advance science and research in the ICT sector including the provision of shared resources to help achieving the FIWARE Mission by Empowering, Promoting, Augmenting, Protecting, and Validating the FIWARE Technologies. FIWARE is a rich suite of platform components, called FIWARE Generic Enablers (GEs), which can be picked and integrated together to build software platforms easing the creation, provision and exploitation of Smart Applications. FIWARE GEs export open standard APIs, typically offered “as a Service” from dedicated servers or from public/private Clouds (compliant with the FIWARE Cloud reference architecture or not). FIWARE GEs have been designed so they can work stand alone while, at the same time, can be integrated to build certain Cloud Services following a given Reference Architecture or, taking the most out of their capability of integration, build a rather powerful and comprehensive Platform Reference Architecture for Cloud-based Smart Applications. Under this assumption there is not just a single FIWARE Reference Architecture but, various Reference Architectures depending on what the platform to build and deploy will serve for. Thus, the FIWARE Cloud Reference Architecture describes how FIWARE GEs in the Cloud chapter can be integrated together to build the architecture of an advanced Cloud Hosting Service. All the FIWARE GEs except those belonging to the Cloud chapter and the Business Framework can be integrated together to build the Reference Architecture of platforms particularly suited to support the development of Smart Applications, i.e., applications that rely on the capability to gather context information and then be able to process and analyze this information to implement an intelligent behaviour combined with an enhanced user experience. This Reference Architecture is referred as the FIWARE Smart Reference Architecture. Finally, the FIWARE GEs altogether complete the FIWARE Reference Architecture that integrates the FIWARE Cloud, Business Framework and Smart Reference Architectures. The specifications of a FIWARE Generic Enabler refer to the set of specifications establishing requirements to be fulfilled by compliant implementations of the given FIWARE Generic Enabler, particularly with respect to Application Programming Interfaces (APIs) and interoperable protocols that are required in order to work with other compliant implementations of other FIWARE Generic Enablers of the FIWARE Platform. A FIWARE GE reference implementation (GEri) is an open source software product offered as reference implementation of a given FIWARE GE Specification. It serves as a definitive interpretation of the specifications. Development of the GEri should follow the common practices defined for the development of all FIWARE GEris in the FIWARE Community. There is a well identified set of GEri Owners and Active Contributors. The GEri is accompanied by Installation, Administration, and Developers’ Guides following the recommended practices adopted in the FIWARE Community. The Installation Guide includes also the related Sanity Check procedures which help to test when an executing GEri instance is working properly. The GEri is accompanied by Training Material suitable to be published in the FIWARE Academy. An Incubated Generic Enabler (iGE) is an open source software product whose owner has proposed for adoption as reference implementation of a new FIWARE GE to be integrated as part of the FIWARE Reference Architecture because: it provides functionality that is generic and independent with respect to application domains. the corresponding GE would cover a gap in the FIWARE Reference Architecture so the product can fit/integrate well with existing FIWARE GEris the specifications are open and royalty-free; and it adheres to requirements defined for FIWARE GEris (see definition of GEri). Incubated Generic Enablers will be advertised and their traction among the wider community of developers as well as the opportunity to integrate them within FIWARE will be assessed so a decision can be taken about whether they should become FIWARE GEs/GEris or not. A FIWARE GEi is a product that implements a set of FIWARE GE specifications, which can work as alternative product to existing FIWARE GEris. This means that multiple implementations of the same FIWARE GE specifications can exist. In general, a FIWARE GEi is a product whose owner claims that it is compliant with the currently supported release of the specifications of a given FIWARE GE and can be published in the FIWARE Catalogue for such reason. However, this does not mean that the FIWARE community will necessarily endorse it nor will verify its FIWARE compliance. A GEi which, complying with all the rules of being a GEri, is proved to be more suitable than the corresponding existing GEri (e.g. better designed and coded, exhibiting better performance, or better ensuring the sustainability) can be considered by the FIWARE Technical Steering Committee (see Article V) for promotion as GEri replacing the current GEri. The FIWARE Catalogue (http://catalogue.fiware.org) is the central web site where the entire FIWARE technology offering is publicly available. Each entry in the Catalogue provides information about a product which corresponds to a FIWARE GE implementation (GEi) or to a FIWARE GE Reference Implementation (GEri). For each FIWARE GEi/GEri, there is a set of structured pages providing access to the product software and documentation, information about existing public instances as well as how to create an instance, and the terms and conditions for its usage. Besides FIWARE GEris and GEis, the FIWARE Catalogue also provides access to Incubated GEs (iGEs). The FIWARE Academy (https://edu.fiware.org) is the eLearning system dedicated to manage the education and training contents for the FIWARE Technologies. Users, anytime and anywhere, can chose from a public list of training objects in order to get useful information to improve the knowledge on how to use FIWARE enablers. A FIWARE instance is a runtime environment where a number of FIWARE GEris/GEis, in general bound to a given FIWARE Reference Architecture, are deployed and offered “as a Service”. FIWARE Lab (http://lab.fiware.org) is a FIWARE full instance, i.e. an instance made up of all the existing GEris, which works as a non-commercial sandbox environment where innovation and experimentation based on FIWARE Technologies can take place. Entrepreneurs and individuals can test FIWARE Technologies as well as their applications on FIWARE Lab, exploiting open data published by cities and other organizations. FIWARE Lab is deployed over a geographically distributed network of federated FIWARE Lab Nodes. A network of data-centers on top of which a FIWARE Lab Cloud region has been deployed and is operated by a concrete organization. FIWARE Ops is a collection of tools that eases the deployment, setup and operation of FIWARE instances by platform providers. It is designed to help expand the infrastructure associated to a given FIWARE instance by means of federating additional nodes (data-centers) over time and allowing cooperation of multiple Platform Providers. FIWARE Ops comprises the suite of tools used to build, operate and expand the FIWARE Lab. Coordination of daily activities that are of technical nature is made by the Technical Steering Committee (see Article V) with the support of the FIWARE Chapters. The core principle to keep the open nature of these activities is that technical decision making is placed in the hands of technical people who strive to put the interests of contributing to the FF ahead of corporate affiliation. This principle is key to have inclusive policies around FIWARE, contributing to its growth and wider adoption. There are two types of Chapters: Architecture and Mission Support chapters. Architecture Chapters: these chapters are responsible for the development of FIWARE/Incubated Generic Enabler (GE) specifications and their open source reference implementations. Activities with regard to a particular GE are carried out by the Chapter Active Contributors of that GE. Mission Support Chapters: these chapters deal with technical activities not specifically related to specification and open source reference implementation of GEs. The FIWARE Lab chapter, coordinating the development of the FIWARE Ops suite of tools and the operations of the FIWARE Lab, is an example of a FIWARE Mission Support Chapter. Both kind of chapters hold their own repository where all the chapter achievements are kept (in the case of Architecture Chapters, these repositories integrate references to the repositories of the individual GEs). Achievements can be in the form of: code, documentation in various forms, web page updates (including press releases, presentations, etc.). The various chapter repositories represent the FIWARE asset and are of critical importance. Technical work within the FIWARE Chapters is intended to advance ICT technologies. Such advancement can be in the form of implementing brand new technologies, but also evolving/adapting existing technologies eventually starting from good available technologies even if produced from the outside of the FIWARE Community. In this respect, good and mutual beneficial relationships with other relevant communities (e.g. OpenStack, Apache) are in the scope of the FIWARE Mission. The Association is named FIWARE Foundation e.V. The Association has its main office in Berlin and shall be registered in the associations’ register of local court Berlin-Charlottenburg. Dependent branch or subordinate offices may at any time be established by the Board of Directors (“BoD”) at any place. Purposes of FIWARE Foundation e.V. are the advancement of science and research and education in the field of Smart Applications, This will be achieved through the support and implementation of the “FIWARE Mission”, i.e. the development of an open sustainable ecosystem around public, royalty-free and implementation-driven software platform standards that will ease the development of new Smart Applications in multiple sectors and for the benefit of the public. This ecosystem will be open to the general public. Results of the advancement in science and research are materialized in an open source platform (the FIWARE Platform) which anyone in the world can use for free. The FIWARE Foundation has been constituted as a non-profit association. transfer of ICT-knowledge and information about the FIWARE technologies through publications (especially on the internet) as well as through events. The FF is a non-profit organization. FF exclusively and directly pursues non-profit purposes in the public interest (gemeinnützige Zwecke) within the meaning of the chapter on “Tax-privileged purposes” of the German Fiscal Code. It shall primarily be financed by member fees, donations and may receive public funding. In addition the FF might provide non-commercial services, such as courses, seminars, and ad hoc consultancy. Promotion may be provided in the (non-exclusively) form of event management, such as the FIWARE Summit, Conferences, meetings. The FF is acting altruistically. It does not primarily pursue its own economic purposes. The funds of FF may be used exclusively for the purposes set out in the Articles of the Association. The members shall not receive any benefits from the funds of FF. FF may not provide a benefit for any person by means of expenditure unrelated to the purpose of FF or disproportionately high remuneration. Where FF is dissolved or where its non-profit purposes cease to apply, the assets of the association will devolve upon a legal person under public law or another non-profit corporation (gemeinnützige Körperschaft) whose purpose consists in advancing one or more of the non-profit purposes stated in section § 2 (paragraph 1) above. Members of FF can be individuals, corporate bodies and any public legal entity. The FF shall have four levels of members: Platinum Members (PM), Gold Members (GM), Associated members (AM) and Individual members (IM). The PM and GM levels recognise Strategic End User sub levels. These are levels dedicated to non Information Communications Technology (ICT) organisations. Members have the right to use FF’s services and attend events and seminars etc. Members have the right to attend the General Assembly and vote. Each Member has one vote. Each Member has to respect and support the interests of FF, especially the FIWARE Mission. Each Member has to provide FF with adequate resources to achieve the association’s purpose. Every member shall provide resources according to the Fee Code (defined in Article XIII and published on the FIWARE wbsite) set by the BoD. When enrolling for the first time with FF, each new member agrees to an initial membership of two years. The BoD may set annual fees in the Fee Code which is published on the FIWARE website. The annual fees are there to just provide sustainability means for the FF daily operations. Platinum Members (PMs) are those who, strategically committing to FIWARE, hold the key responsibility in managing the FF. They may decide on simple majority whether or not another legally established organization could join the FF as a PM. In order to qualify as PM, Members have the obligation to comply with the provisions of this article. Any legally established organization, except non-profit organisations, may apply for PM. PM membership is lost upon any substantial change of ownership or field of activity. “Substantial change of ownership” means the sale of all or substantially all the assets of the Platinum Member; any merger, consolidation or acquisition of the Platinum Member with, by or into another corporation, entity or person; or any change in the ownership of more than fifty percent (50%) of the voting capital stock of the Platinum Member in one or more related transactions. PM Strategic End Users: This level of membership is dedicated to those companies and organisations who are actually users of ICT, but not ICT companies or organisations as such. Access to PM membership is submitted to the agreement of the Board of Directors. The special rights granted to the PMs are special rights pursuant to § 35 German Civil Code (BGB). The GMs are those legally established organizations committed to FIWARE having an active role in pursuing the FIWARE Mission. Elect GMs representatives in the BoD, who are entitled with the right to vote during the meetings of the BoD. Any legally established organization, except non-profit, may apply for GM. This does not pertain to Public Administrations that can apply for GM as Strategic End User. GM Strategic End Users: This level of membership is dedicated to those companies and organisations who are actually users of ICT, but not ICT companies or organisations as such. Access to GM membership is submitted to approval from the Board of Directors. The special rights granted to the GMs are special rights pursuant to § 35 German Civil Code (BGB). IM shall be any natural person who promotes the FIWARE Mission. IMs have the right to freely attend and vote during the General Assembly of the FF. IMs can have a seat in the Technical Steering Committee (see TSC paragraph below). IMs not working for a PM or a GM cannot be part of the Board of Directors. Have an interest in the purpose of the FIWARE Foundation. AMs have the right to attend and vote during the General Assembly of the FF. AMs cannot be part of the Board of Directors. Adhere to the Code of Conduct and the Fee Code of the FF. After review of the application and execution of the Adherence Agreement by the applicant, and after verification that the organisation or the person satisfies the criteria for membership established by the Articles of Association, and in the case of organisations after the positive vote of the BoD, the CEO or any representative designated by him/her among the BoD members and acting on his/her behalf shall admit the organisation or the person as Member. The Secretary shall then add the organisation or the person to the Members Registry. The BoD by simple majority decides on incorporation of PMs, GMs and AMs. The effective date of membership shall be the date on which the person or the organisation is added to the Member Registry. Members may terminate their membership by giving written notice to the Secretary. The effective date of termination of the Member shall be the date of removal from the Members Registry. Art. IV., § 1 paragraph 5 above shall remain unaffected. The BoD may direct the Secretary and CEO to terminate a Member for violation of the Adherence Agreement if the violation is not cured within the period provided in the Adherence Agreement or for not exercising its rights during 3 months. The business and affairs of the FIWARE Foundation shall be controlled by or under the direction of the Board of Directors. Amend the Articles of Association pursuant to Article X. below. Representatives of the GMs. The number of GM representatives on the BoD shall be equal to the number of GM. In all cases, the number of GM seats shall be less or equal to PM seats. The Chair of the TSC and the CEO (both with no vote) are permanently invited to the BoD meetings. Each Member shall hold the seat for a term not to exceed three years, but may be re-nominated or re-elected according to the membership level. Members of the BoD have the same rights and obligations in their function. Upon resignation or premature death of a Member of the BoD as a representative of an FF Member, the represented Member is entitled to replace him/her by another representative. The BoD shall create among FF members committees to support its daily functions according to what is prescribed in Article VI. The GMs elect among themselves the representatives to the BoD. The GM representatives in the BoD are empowered to take decisions on behalf of the GMs. GM representatives in the BoD are completely renewed every 12 months. Elections are held 5 weeks prior to the General Assembly meeting, to take place every 12 months, with nominations due 6 weeks prior to the General Assembly and elections held open for no less than five business days. Elections run through an online system which will be decided by the BoD. The BoD will be effectively constituted with the attendance of one half plus one of the members, no matter their level of Membership. The Members of the BoD shall elect from among its members and with a 2/3 majority thereof, the person to hold the position of Chairman of the BoD. The Chairman of the BoD shall preside at all meetings of the Board of Directors and shall have such other duties and authority as may be conferred by the Board of Directors. The BoD shall elect by simple majority a Secretary and a Treasurer into the Board of Officers. The Members of BoD shall propose a candidate for Chief Executive Officer (CEO) and shall vote to elect him/her. The CEO shall be elected by unanimity of vote at the first round, by 75% of vote at the second round, and 50% of vote from the third round on. The BoD may hold meetings, both regular and special. Unless otherwise restricted by these Bylaws, members of the BoD may participate in a meeting of the BoD by means of conference telephone, video conference equipment, or other communications equipment by which all persons participating in the meeting can hear each other, and such participation in a meeting shall constitute presence in person at the meeting. Regular meetings may be held on a scheduled basis at such time and at such place as shall from time to time be determined by the BoD. Special meetings of the BoD may be called by the CEO with 10 business days’ notice, either personally or by telecopy, commercial delivery service, electronic transmission, or similar. In case of special urgent matter the CEO can call a meeting with 5 business days’ notice, either personally or by telecopy, commercial delivery service, electronic transmission, or similar. Special meetings of the BoD may be called by notice given by a simple majority of its Members in the same conditions. The BoD may invite people to attend the meetings. Prepare and keep the Balance sheet up-to-date. The CEO: The Chief Executive Officer of the FF shall have general supervision, direction and control of the business and management. He/She shall attend the BoD and GA meetings. The Secretary shall keep and safeguard the Books of Minutes of the meetings and issue certifications with the approval of the Chairman of the BoD. The Treasurer receives and cashes the fees, prepares the Balance Sheet and Budget under guidelines provided by the BoD, and presents the Balance Sheet and Budget to the members during the General Assembly. Officers shall be appointed annually by the Board of Directors at its first meeting. Any officer may resign by delivering his written resignation to the FF at its principal office or to the CEO or Secretary. Such resignation shall be effective upon receipt unless it is specified to be effective at some other time or upon the happening of some other event. Any officer elected by the Board of Directors may be removed at any time, by the Board of Directors. The Secretary shall perform such duties and shall have such powers as the Board of Directors or the CEO may from time to time prescribe. In addition, the duty and power to give notices of all meetings of Members and special meetings of the Board of Directors, to keep a record of the proceedings of all meetings of Members and the Board of Directors and prepare lists of Members and their addresses as required, to be custodian of corporate records and the corporate seal and to affix and attest to the same on documents. The Treasurer and the Secretary can be provided by FF members or can be outsourced from the outside of the FF. The Technical Steering Committee shall be the body where technical decisions are taken. The Board of Directors shall consider only those additions, combinations, splits or deletions of the FIWARE Technologies that are recommended by the Technical Steering Committee, but shall have the sole authority to approve or reject such additions, combinations, splits and deletions of the FIWARE Technologies. The TSC may define specific procedures for managing the evolution of the FIWARE Technologies. Remarkable Individual Members elected by the Chapter Active Contributors, up to one third of the number of Chapter Leaders plus PM representatives. The TSC members shall be also FF Individual Members. Chapter Active Contributors (CAC) shall elect Chapter Leaders by simple majority. Remarkable Individual Members shall be elected by simple majority of all the CACs voting. TSC seats are completely renewed every 12 months at most. A separate election is run for each FIWARE Chapter seat. These elections are collectively held 5 weeks prior to the General Assembly meeting, to take place every 12 months, with nominations due 6 weeks prior to the General Assembly and elections held open for no less than five business days. Elections run through an online system which will be decided by the TSC. Upon completion of the election, the Technical Steering Committee shall give notice to the Board of Directors and the Secretary. Each Technical Steering Committee member shall hold the seat for a term not to exceed one year, but may be re-elected to the Technical Steering Committee. Any member of the Technical Steering Committee may resign by delivering notice in writing or by electronic transmission to the Secretary. Such resignation shall be effective upon receipt. The Technical Steering Committee shall, within 15 days, elect a replacing member. Replacement of PM representatives is made directly by the corresponding PM organisation, replacement of FIWARE Chapter representatives is made by election within the corresponding FIWARE Chapter according to the rules above specified, and replacement of Remarkable Individual Members is made through the non- elected list of yearly elections starting from the first person not elected. The Members of the TSC shall elect from among TSC members with a simple majority thereof its Chair for 1 year, who will attend the meetings of the BoD with voice but no vote. The Technical Steering Committee shall meet at least quarterly. Minutes of the meetings is a collaborative work under the responsibility of the TSC Chair. At the end of each meeting the minutes are transmitted to the Secretary who shall keep and safeguard the Books of Minutes of the meetings of the TSC. People who perform updates in the contents of a Chapter repository are referred as Chapter Active Contributors (CAC). The repository should also store the meeting minutes and work progress assessment documents; however such documents do not represent sources for a person being accounted as a Chapter Active Contributor. Only Chapter Active Contributors who are also Individual Members of the FF will participate to the elections of Chapter Leader and of Remarkable Individual Members. A main and deputy Chapter Leader (CL) are elected per each FIWARE Chapter by that Chapter Active Contributors (CAC). They manage the overall operations of a chapter, drive the chapter goals, keeping the chapter consistency, and resolve technical disputes within their chapter. In this respect the main CL, or when needed his/her deputy, is the ultimate responsible for the good and timely progress of work within the chapter. Architecture CLs specifically have to ensure that GEs within the chapter can integrate well together and with GEs from other chapters, overall building a coherent and comprehensive FIWARE Reference Architecture. Each chapter community should be self-managing by the contributors, and all disputes should be resolved through active debate and discussion by the community itself. However if a given debate cannot be clearly resolved, the CLs can decide the outcome. Although the CLs (main and deputy) are generally not involved in decisions at GE level, they still has oversight over GE-specific decisions, especially when they affect other GEs in the chapter, other chapters, or might negatively affect to the general FIWARE Reference Architecture. Each main CL is the ultimate responsible for the good shape of his/her chapter repository. The General Assembly is the annual assembly of all members of the FF (PM, GM, AM and IM). The Ordinary General Assembly is held in the first quarter and is convened by the Chairman of the BoD with a period of notice of at least 30 days in text form (letter or e-mail), indicating the agenda, to be sent to each member. The venue and time for the Assembly will be defined by the BoD. Extraordinary General Assemblies will be convened at any time if this is requested either by four members of the Board of Directors, the Chairman of the Board of Directors, the CEO, or at least 10% of all members. The request is to be made in writing and the point to be discussed is to be indicated. Such meetings may be called to conduct business for any purpose or purposes prescribed in the notice of the meeting and shall be held on such date and at such time as the BoD may fix. The invitation must include the agenda and be sent out with a period of notice of at least 10 working days. The Secretary of the FF shall prepare at least 30 days before each annual meeting/two days after providing notice of a special meeting a complete list of the Members entitled to vote in alphabetical order for each class of Member. Such list shall be treated as confidential and shall be open to the examination of any Member of the class for a period of at least 30 days prior to the meeting. The General Assembly is chaired by the Chairman of the BoD or if the latter is prevented from attending, by a representative appointed by him/her. The Chairman of the meeting shall call the meeting to order, establish the agenda, and conduct the business of the meeting in accordance therewith or, at the Chairman’s discretion, the business of the meeting may be conducted otherwise in accordance with the wishes of the Members in attendance. The General Assembly is quorate if the majority of the members with PM, GM, and AM, present in person or proxy, as well as at least 10% of the Individual Members are present. Each Individual Member whose effective date of membership is earlier than thirty (30) days before the meeting takes place, may vote immediately after he or she becomes an Individual Member. All members (PM, GM, AM, IM) have one vote. all other matters that are presented to it by the Board of Directors for decision making. The appointments and elections to the BoD and to the TSC will be notified to the General Assembly. In order to perform some specific duties, the BoD may form dedicated Mission Support Committees (MSC). MSCs may be asked to perform support daily and mission critical tasks to pursue the FIWARE Mission. One or more FF members can propose MSCs. In this case they have to submit a proposal to the BoD containing the MSC charter and Governance Model. The BoD will approve the proposal eventually making specific recommendations to be included in the charter and Governance Model. The BoD may decide to provide resources for the tasks performed by the MSCs from the FF budget, but any Member may individually contribute thereto. MSCs are composed of FF members with known competence in the fields of the tasks to be performed by the MSCs. MSC operations are yearly verified by the BoD, who may decide to keep the MSC in operation or not. The FF may issue open calls for tender to find partners with a view to help FF meet its Organizational Objectives. Intellectual Policies are defined in the Association Code publicly available. Article VIII – Grants, Contracts, Loans, etc. The making of grants and contributions, and otherwise rendering financial assistance for the Purposes of the FIWARE Foundation may be authorized by the BoD. 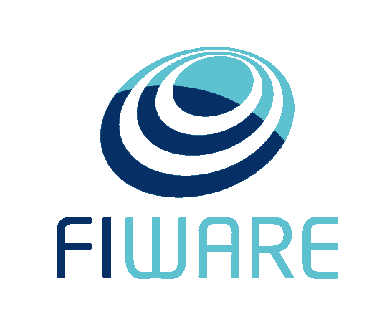 The CEO is individually authorized on behalf of the FIWARE Foundation to enter into any contract for grants, contributions and otherwise rendering financial assistance for the Purposes of the FIWARE Foundation or execute and satisfy any instrument. The CEO shall inform the BoD of any such action at the following meeting of the BoD. The (founding) members authorize the members of the Board of Officers, the CEO and the Secretary, each of them individually and being released from the restrictions of section 181 of the German Civil Code and with the authorization to delegate power of attorney, to make all declarations or actions which may be necessary or useful for the registration of the Society and obtaining its benefit to the public; in particular to detain General Assemblies and to resolute amendments (including the change of name of Society) and to change, to withdraw and to apply again the registration of the Society to meet interim orders and concerns of the Society register or the tax office. These Articles of Association may be altered, amended or repealed or new bylaws may be adopted by the BoD with a 2/3 majority of BoD members at any regular or special meeting. The dissolution of the FF can also be decided by the BoD with a majority of a 2/3 majority of BoD members. The dissolution requires the consent of the General Assembly with a 2/3 majority. A proposal of the Platinum Members that is approved by at least two-thirds (2/3) of the Platinum Members. The proposal must be in writing and must be signed by each approving Technical Steering Committee member, Individual Member, Platinum or Gold Member, as applicable. Amendments to the Articles of Association and the dissolution of the FF are only possible if they have been duly announced at least thirty (30) days before the meeting of the BoD taking this decision. In the event of dissolution, the BoO handles a proper Liquidation Process. Each person who was or is made a party, is involved in any action, suit or proceeding which are directly linked to the FF, whether civil, criminal, administrative or investigative, by reason of the fact that he or a person of whom he is the legal representative, is or was a director or officer of the FF shall be indemnified and held harmless by the FF for damages caused by slight negligence or negligence and only to the extent that damages are not covered by insurance. The FF shall maintain insurance (“D&O Insurance”) to the extent reasonably available, at its expense, to protect itself and any such director, officer, employee or agent of the FF or third party against any such expense, liability or loss. Any amendment of any provision of this Article shall not adversely affect any right or protection of an indemnitee or his successor in respect of any act or omission occurring prior to such amendment. The FF Code of Conduct is publicly available at www.fiware.org. Any person and organisation wishing to become a Member of the FF shall sign the FF Code of Conduct. The FF shall keep correct and complete books and records of accounts, held by the Treasurer. The BoD may set fees and charges for the services and benefits provided by FF, with the goal of fully recovering the reasonable costs of its operations and establishing reasonable reserves for future expenses and contingencies (“Fee Code”). Such fees and charges shall be fair and equitable, shall be published for public and once adopted shall be published on fiware.org in a sufficiently detailed manner so as to be readily accessible.